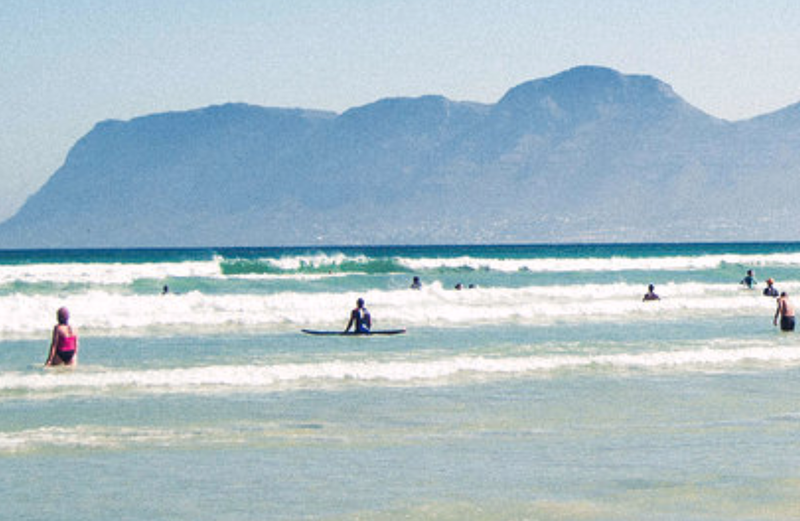 “South Africa, especially Cape Town, often has really negative narratives surrounding its beaches,” SJ Stevens says. So he produced a photo series to expose the glorious reality of our shores. The colourful huts of Muizenberg Beach are iconic. But when photographer Athenkosi SJ Stevens visits, that’s not what he notices. Instead, Stevens basks in the kaleidoscope of humanity, soaking in the carefree atmosphere alongside beachgoers. Beyond priceless summer memories, these moments give way to a startling paradox – the image of our seaside projected by the media is often distorted. “South Africa, especially Cape Town, often has really negative narratives surrounding its beaches,” Stevens says. So he produced a photo series to expose the glorious reality of our shores. Our country has a history of division. But Stevens’ images reveal that on the beach we are one, sharing food, fun, and the festive feeling that so effortlessly knocks down our walls. “We all just want to be able to splash in the waves or lie in the sun,” Stevens says. Separated by suburban districts and concrete buildings, the seaside allows the true spirit of the nation to show itself. Our shores are covered in waves of endless celebration and infinite togetherness for all. “It is the people of South Africa which make it such a special place,” Stevens says.